Is Reuben Abati losing the (social) media war? And that brings us to the crux of the matter. The President’s social media strategy is at best inexpert, reactive and still stuck in web 1.0 mindset. Having Twitter handles and a Facebook page is just scratching the surface. This is not a social media course (I doubt if such a course is taught anywhere in our tertiary institutions), but does the FG have a YouTube channel? Does the FG creatively engage Nigerians using the various social media channels? Does the FG have a well thought out New Media plan? I ask because the theatre of war (Yes, politics is war. Ask the Americans and their aptly styled campaign “war-rooms’) has ostensibly moved away from the traditional media: from the NTA 9 o’clock news, the Radio Nigeria, 7 a.m. bulletin, the state-owned newspapers or the press releases in The Guardian, Daily Times and their ilk. Rightly, the traditional media is not dead – its stories are still more authentic and reliable (even though a national daily was accused of erroneously attributing the Jesus tweet to Mallam El-Rufai instead of just the ‘crime’ of retweeting) – but its impact is flailing, circulation figures are downhill and the agenda-setting function is firmly in the court of ‘citizen journalism.’ It is absurd, but a Tontoh Dike’s ill-choreographed, amateur, 4-minute video can garner more views than NTA’s flagship network news at 9 p.m. in this age of satellite TV with its ubiquitous midweek European football, YouTube and its many cat videos, podcasts, Instagram, Pinterest, Google +, Twitter, Facebook, Nairaland, BBM, the blogosphere etc. Add the lack of power supply and NTA’s “60 Million viewers” (best said in characteristic Cyril Stober voice) belongs firmly in the Jurassic age and The History of Mass Media class. 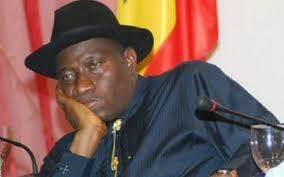 The President’s men, or Jonathanians as some have labeled them, must step up and come to the party. I know Dr. Abati is an old media acolyte, but he must learn the new weapons of political discourse, and that speedily. To be fair to him, he is treading uncharted grounds, being the first presidential media assistant to come up against a fully evolved social media. The youths and the middle class, both largest, most vocal, electoral demographics must be engaged, must be pitched to and preached to, must be convinced that transformation is taking place. He must not act like Saddam Hussein who came to engage the Americans in the Gulf War banking on the old ‘desert warrior’ mindset, and his army was blown away by weapons his troops never saw. Web 2.0 is alive and well, and it is social. It is also a tough and mean arena. In the old way one had the proverbial fifteen minutes of fame; in the new media, fifteen minutes is enough to start a revolution. This entry was tagged President Jonathan, Reuben Abati, Social Media. Bookmark the permalink.